Vein Treatment Cleveland - When Is It Time To See A Vein Specialist? Your veins play a vital role in your body, and typically, you don’t imagine ever having a problem with the way that they function. However, there are various vein disorders that can cause you pain, and result in more serious issues. Luckily, if you live in Cleveland or the surrounding areas, the experts at the Center for Advanced Vein Care are here to help. We offer relief and treatment for a variety of vein disorders, allowing you the freedom to live your life without pain or discomfort. If you are interested in learning more about our services or treatment options, contact Center for Advanced Vein Care in Cleveland today! 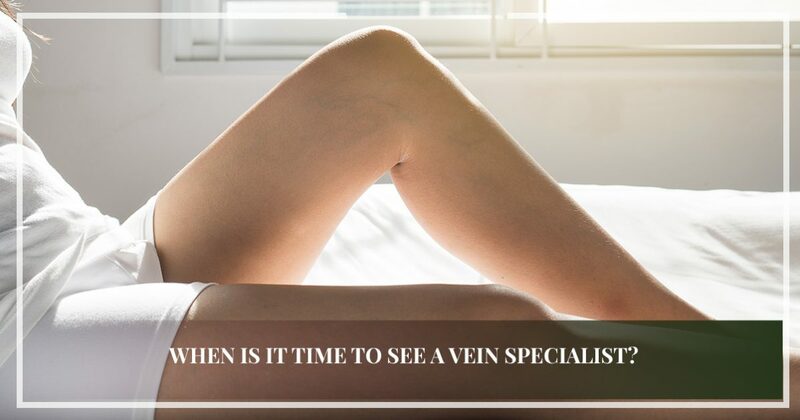 If you have noticed pain or discomfort in your legs, or you’ve been diagnosed with a vein disorder by a doctor, you may be wondering when is the right time to seek vein treatment from a specialist. It can be difficult to determine when you need help from a professional, and in today’s post, we will provide you with a few signs that you should look for to help you decide when you should seek vein treatment from an expert. Some vein disorders are associated with visible symptoms, such as bulges in your legs or spidery veins. In many cases, the visible signs are the only symptoms experienced by the individual, making it easy to ignore the signs and simply live with the disorder. However, even if you aren’t experiencing pain or discomfort, it’s important that you seek help from a doctor. Problems with your veins can lead to more critical problems, therefore it’s important to get checked out if you notice any bulging, throbbing, or spider-like veins. More often than not, vein disorders cause a great deal of pain and discomfort for the individual. While it’s possible for vein disorders to affect different areas of the body, it’s more common that patients experience vein problems in their legs. It’s important that you keep an eye out for symptoms, such as pain, dark purple or blue veins, itching around your leg veins, and soreness. These symptoms can range in intensity, and while you should visit your doctor at the first sign of any of these symptoms, it is absolutely necessary that you make an appointment if your vein disorder is affecting your quality of life. There are a number of reasons why you may be experiencing swelling in your legs, and it may not be a huge concern, especially if it is gone by morning. However, if you’re only experiencing swelling in one of your legs, or it only happens after you’ve been awake and moving for a few hours, it may be cause for concern. Swelling can be a sign of a problem with the function of your veins, and may even be a symptom of varicose veins. When it comes to your health, it’s better to be safe than sorry and schedule an appointment for a doctor to either confirm or rule out a vein disorder. With some vein disorders, a doctor might recommend home remedies, such as elevating your feet at night or wearing compression socks. In most cases, this can provide the individual with the relief they deserve, however, there is still the chance that your symptoms may persist. If that’s the case, it might be time for you to consider scheduling an appointment with a vein specialist. These are just a few signs that you should keep in mind if you suspect that you have a vein disorder. If you live in Cleveland or the surrounding areas, the Center for Advanced Vein Care offers vein treatment for a variety of disorders and can provide you with the relief you need. Learn more about our services on our website, and give us a call to get started today!